Facebook social network is today the biggest and most important community around the world. It's great marketing tool to increase your brand visibility, increase sales and great way to offer facebook support for your customers. 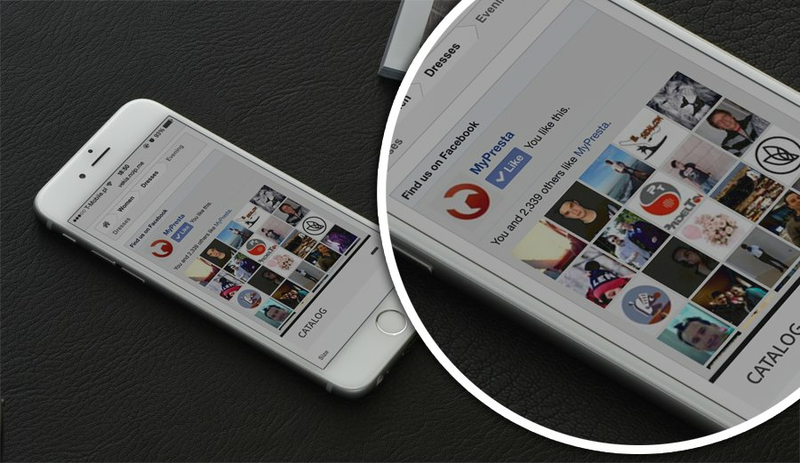 This module is a responsive facebook like box, with this addon you can easily gain more facebook fans on your online store fanpage. 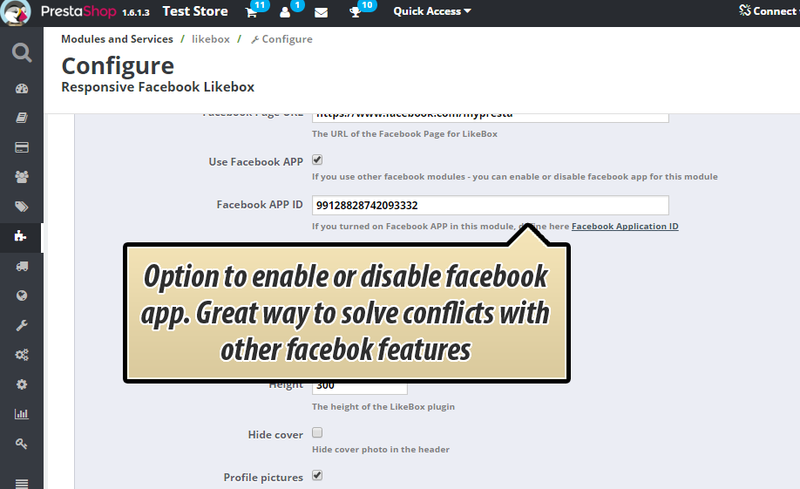 As you already know, this facebook like box module is responsive addon for PrestaShop. It's great marketing tool to gain more Facebook likes on your shop fanpage on fb. Module contains many customization features, with these options it will fit your needs. You can display it in several places, change its colors, size etc. You can read more about this module and its features below. This module contains advanced customization tool. It allows to define many aspects of like box that module will create and display. As a shop owner you can of course configure it to fit your needs, appearance you want etc. Module contains feature to turn on or turn off responsiveness. 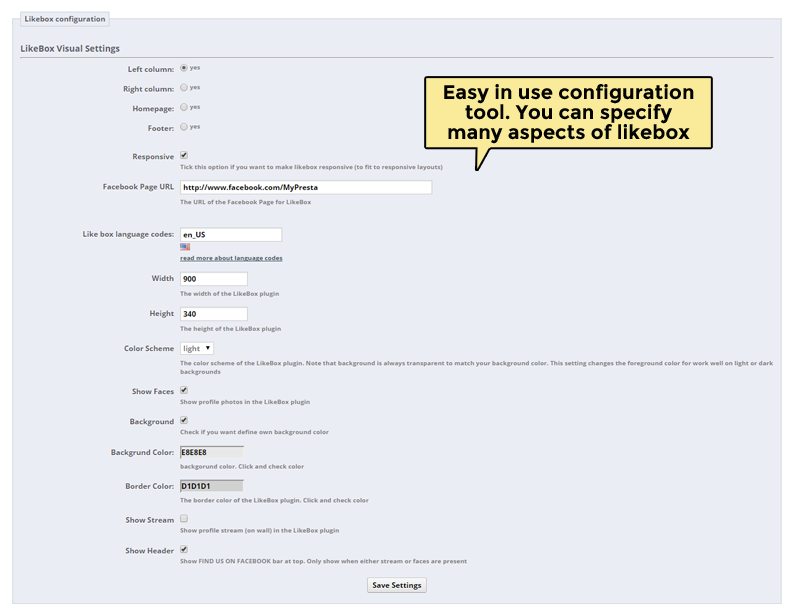 So you can easily turn on option to change size of likebox depending on customer device size. If you want, you can turn this option off so module will be in the same size both on desktop and mobile devices. This is main advantage of this module. It's the only one available addon for PrestaShop that allows to define different languages of likebox for each language available in your store! 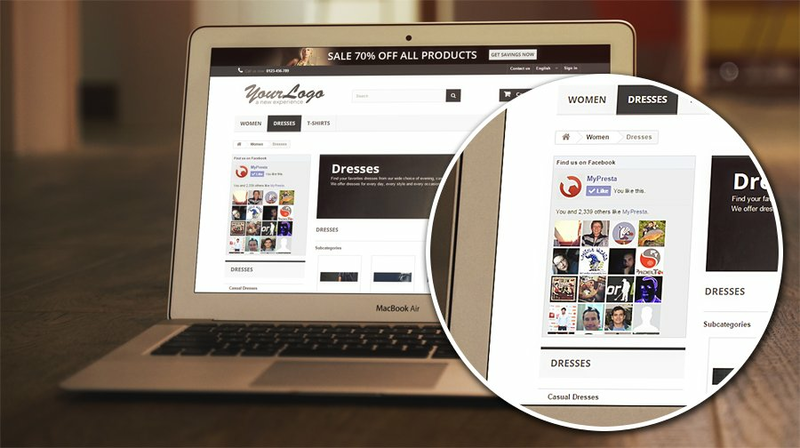 For example, if your customer will browse your store in French language - you can define French likebox, if someone will browse your shop in english - you can define english language in likebox. It's first addon that allows to do that! 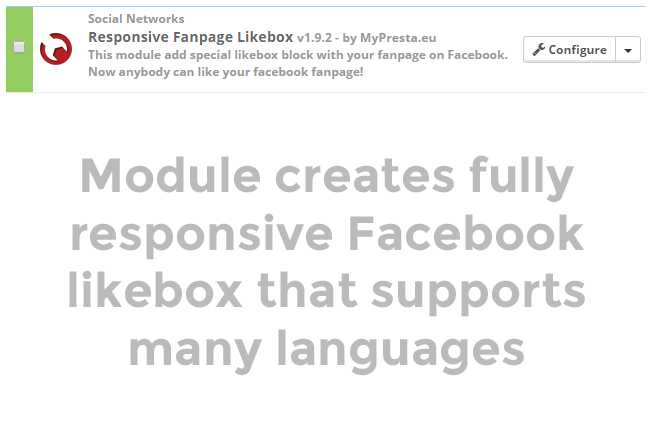 All other modules display likebox only in one language - english for example. Facebook allows to select two types of likebox color. You can select "light" layout (for light templates) and "dark" layout (for dark templates). This is basic setting, but instead of it module also contains advanced color personalization tool. You can define border color (other addons don't have this feature!) and background color. You can also turn on / off background (likebox will be transparent). 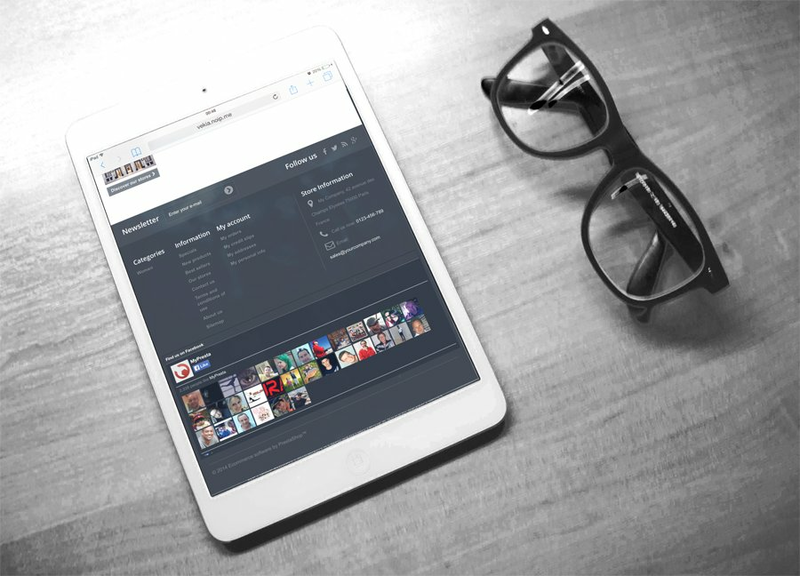 You can use this module also to display your fanpage contents. 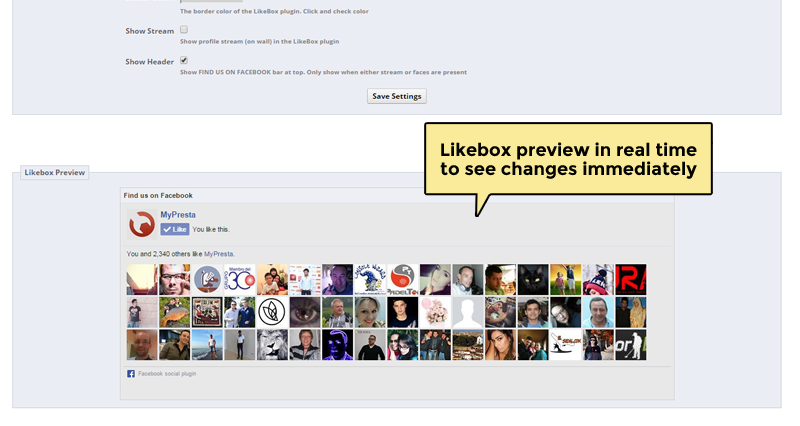 If you will turn on this option - module will display contents that you added to your fanpage. You can turn on or turn off possibility to display fans faces. 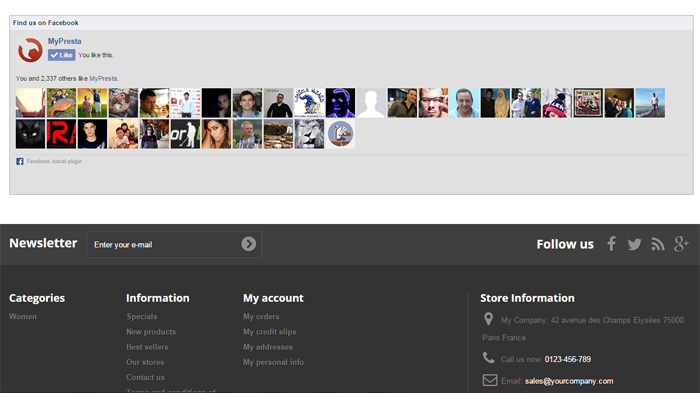 If you will turn this option on - module will display profile pictures of your fanpage fans. Module is associated with left column, you can see it on demo page inside left column at the very top of it.